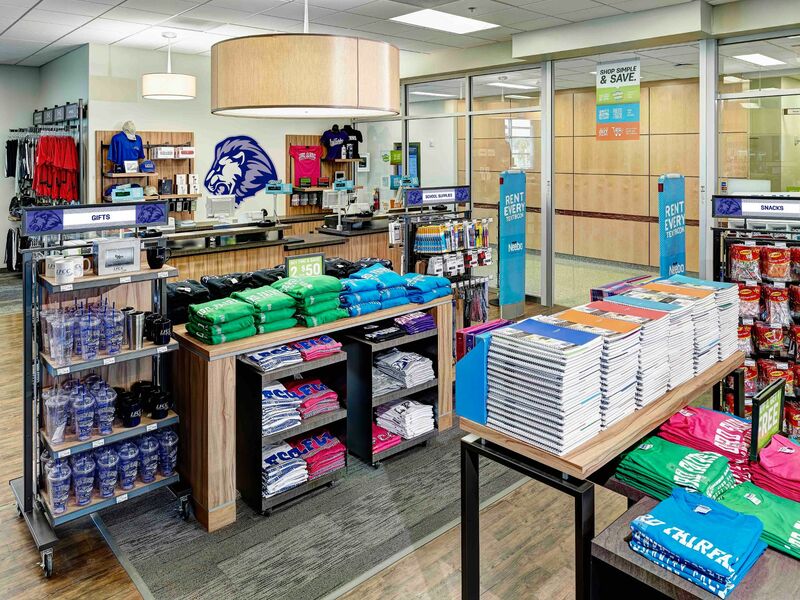 Founded nearly a century ago, Neebo is a retailer of textbooks, college branded clothing, gear, and accessories. Neebo has its headquarters in Lincoln, Nebraska, United States, with operations all over the country. Initially, the company was known as Nebraska Book Company but later rebranded as Neebo in 2010. 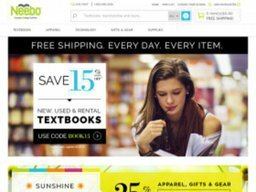 Apart from selling new textbooks, Neebo buys used textbooks from students and resells them at very low prices. Today, the company partners with over 2000 colleges and universities to offer textbooks, apparel, gifts, and supplies to millions of college students across the United States. Among their partners is University of Notre Dame, Stanford University, University of Florida, Baylor University, Florida State University, University of Georgia, Boston College, among others. The company prides itself of renting and selling more than 8.7 million textbooks annually. Neebo operates exclusively online through its website www.bkstr.com. Users are required to sign up for free to be able to access Neebo services. At the site, one can shop to include books, apparel and accessories, gifts and collectibles, supplies, technology, and sale and clearance. Under each category is a variety of items with a clear display and prices attached. As well as the great used prices customers can also benefit from Neebo coupons, which can be redeemed for discounts and other offers. We keep an up to date list of these here at Coupofy, so you'll always find a code you can use. At Neebo, you can shop for textbooks and course material, digital course material, rental books, cash for books, Sweatshirts, Polo, T-shirts, Jerseys, Shorts and pants, hats, backpacks and bags, footwear, among others. Under the gifts and collectibles are blankets, diploma frames, drinkware, office and travel, University media, among others. Under the supplies are school supplies, planners, dorms and apartments, art materials, medical kits, sports accessories, among others. Neebo offers its products at discounted prices with most products retailing between USD $5 and $300. Depending on the offers available at the time you may be able to redeem a Neebo coupon code for any items or specific items only. Redeeming a Neebo coupon code couldn't be easier. All you have to do is enter it in to the promo box ahead of payment. The cost of shipping is calculated and displayed separately during the checkout process, and is based on your location. From time to time shipping is free through the redemption of a Neebo coupon code. You can also get books delivered for free to your local store. For unsatisfied customers, returns can be made within 30 days of the purchasing for an exchange or a refund. If you have used a coupon code for neebo bookstore, you will obviously only be refunded the amount charged after the code was applied.